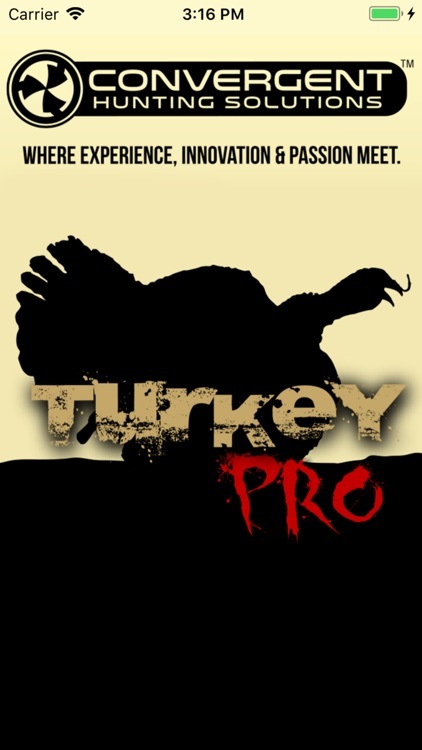 Wild Turkey Pro by Convergent Hunting is designed to work in conjunction with the “Bullet HP” (special purpose Bluetooth controlled speaker) to help you get professional turkey calling results. 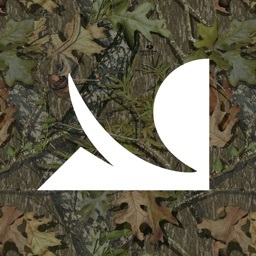 Together, the Convergent Hunting apps and Convergent Bullet HP, combine the latest in technology to provide you with a complete calling platform that is unique, versatile, all wrapped-up in a high performance package. NEW! 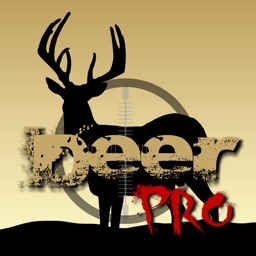 Video your hunts and control the calls and sounds at the same time. Transparent video controls overlay gives you easy access to presets, and call controls while you record video on your device. 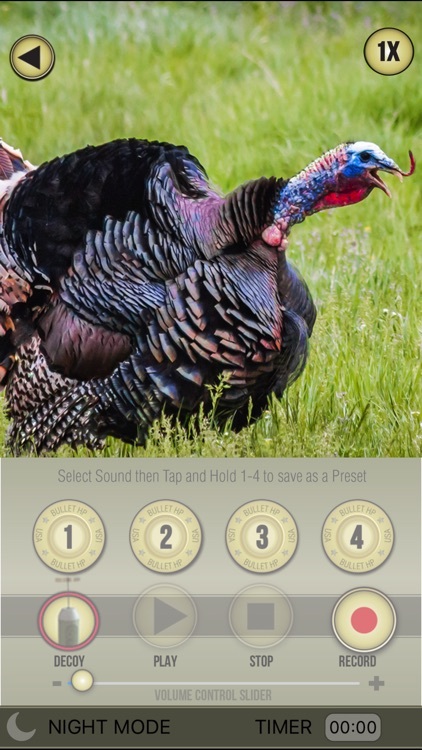 All turkey hunting sounds packaged in Convergent Hunting’s Wild Turkey Pro Calling App have been recorded in High Definition and are digitally mastered to provide you with sounds that will elicit responses from even the most wary animals. Large buttons for sound playback make using the apps in the field very easy. 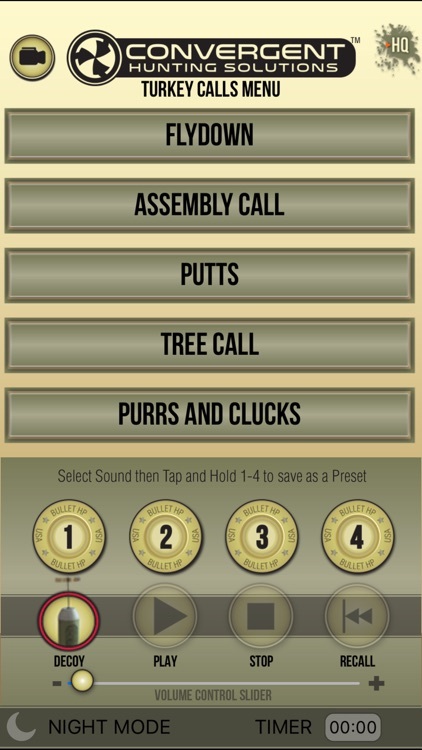 4 programmable preset call buttons allow you to keep your four favorite sounds “front and center” for quick use. Standard volume control and playback interface keep things simple and easy to use. Hunting hi-tech has never been so easy, or powerful! 2. Assembly Call…..As the name implies this is an assembly call which is also a great morning sound to start with. 3. Putts….This is a great close range call to get the gobblers to close the final few yards. 4. Tree Call. ….This is the sounds of turkey still on the roost before they fly down for the day. 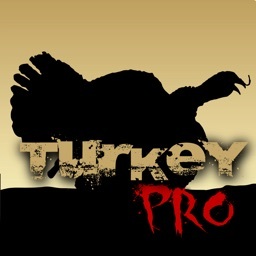 Great sound to get the gobblers focused in your direction before they leave the roost. 5. Purrs and Clucks….. A mid-range call. Very useful all throughout the day. 6. Big Hen….This a the sound of a large hen. This have more reach and is effective at longer range. 7. Cutts and Yelps….Another good call to use throughout the day and has good range. 8. Soft Clucks….This is a good all-around call that can be used for close, mid-range, and long range. 9. Kee-Kee….This is another good all-around call but mainly used for mid to long range. 10. 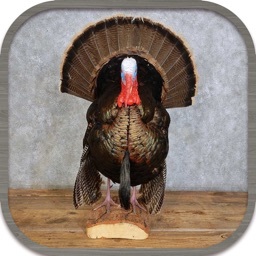 Single Gobbler….This is used to elicit a vocal response from another gobbler. 11. Two Gobblers….This too is just another option to elicit a vocal response from other gobblers. 12. 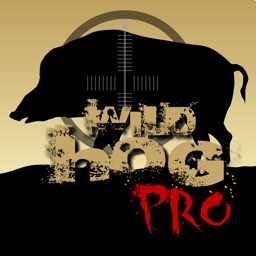 Yelps and Gobbles….This is also just another option for both eliciting a response as well as call in gobblers. 13. Barred Owl…..This is a locater sound is used to make a male turkey shock gobble thus giving away his location. 14. Coyote Howl….Also used to make male turkey shock gobble for locating. 15. Two Crows…..This is another option to make a male turkey shock gobble. 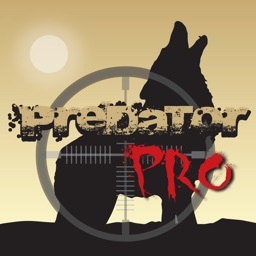 "This app contains a collection of the sounds that consistently produce outstanding results for me when calling wary Toms into shooting range. I’m confident that they will produce the same results for you." Visit ConvergentHunting.com for more apps and products.